There is a great way to start the day, this is with a positive phrase to tell it welcome, if you are between the group that celebrates each day, that try to be happy everyday or want to share your happiness with all the important people in your life, you can do it by choosing one or more images from the selection we present below. 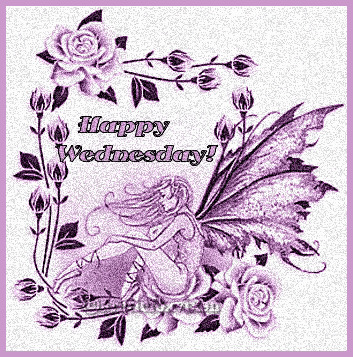 You are going to find different kinds of ways to wish a Happy Wednesday, some images are animated, they have movements or sparkles, other ones are romantic or if you prefer the formal ones, you also can find it below. 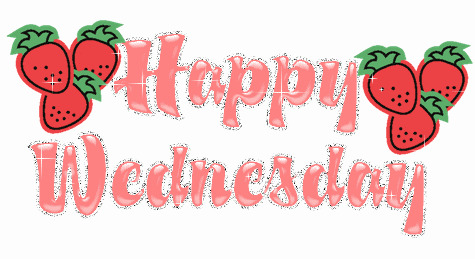 An animated image with the phrase "Happy Wednesday" with pink letters, sparkles and some strawberries. 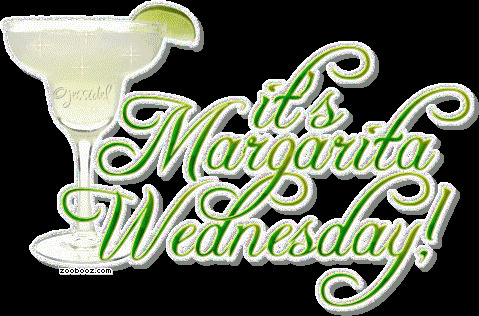 If you want to celebrate Wednesday's arriving with a drink, this is a good option. "Happy Wednesday" with a tender teddy bear, movements and sparkles. "Happy Wednesday" with gray letters and sparkles. 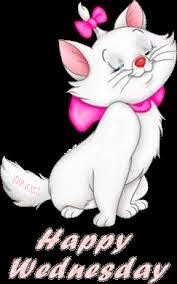 "Happy Wednesday" with Marie, of the Aristocats's kittens. In this colorful image you have the phrase: "Happy Wednesday" with a heart and a mouth. "Happy Wednesday" with two beautiful dragonflies moving their wings. 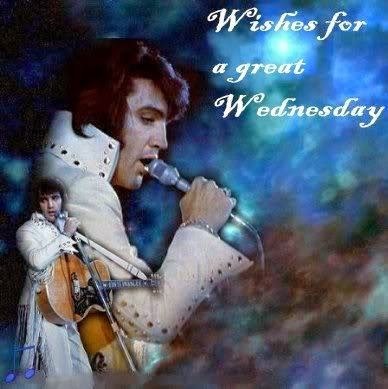 For all Elvis's lovers, here you have an image with him and the phrase: Wishes for a great Wednesday. "Happy Wednesday" with a fairy with enormous wings and some flowers. 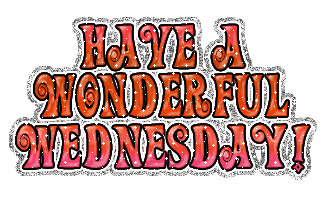 "Have a Wonderful Wednesday" the perfect phrase to wish a happy day.